View and relate your contacts, leads, accounts, opportunities, and cases relevant to the Gmail messages you received or sent (1) via interactive side panel within your Gmail account. Search for custom object records and create a Salesforce record using actions available to you (2). With the inline editing feature, you can also modify records without leaving Gmail. Drill down for more details on a Salesforce record right from Lightning for Gmail. In addition to a record’s detail page, you get to see its Chatter feed, activity timeline, and related lists. Syncs contacts and events between your Google applications and Apto. Lightning for Gmail works with G-Suite corporate email accounts, in the Chrome browser. How do I set up Lightning for Gmail? From Salesforce Setup, enter Lightning for Gmail in the Quick Find box, then select Lightning for Gmail Settings. To give sales reps access to global actions in Lightning for Gmail, create new or assign existing publisher layouts from the Lightning for Gmail Publisher Layouts section. Save your changes. BELOW STEPS ARE NOT NECESSARY, BUT WILL PROVIDE A MORE TAILORED SIDE PANEL IN GMAIL: Next, your System Admin can modify user’s email application pane and add standard or custom components you want your Lightning for Gmail users to see and work with from Gmail. From Setup, enter Lightning for Gmail in the Quick Find box, and select Lightning for Gmail Settings. Enable Customize content with App Builder. In Salesforce Classic, click Save. Now you’re ready to create custom email application panes with the Lightning App Builder. To create an email application pane: The steps are different depending on whether you’re working from Lightning Experience or Salesforce Classic. From Setup, enter Lightning for Gmail in the Quick Find box, and select Settings. Click New under Email Application Panes. From Setup, enter App Builder in the Quick Find box, and select New under Lightning Pages. Give your pane a unique label, and click Next. To start with an empty layout, select the Pane template. To start with a layout prepopulated with standard components, clone the system default page. Drag components onto the pane. You can drag components up or down to rearrange their order. Click in the empty area of the canvas to view the page properties and add a description for your pane. NOTE: You will need your business’ Google Apps Admin to perform certain steps. Next your Google Admin will need to Upload Your Google Private Key by preparing your Google Enterprise™ account to connect with Salesforce. That process generates a Google private key, which your Google admin has to upload here. 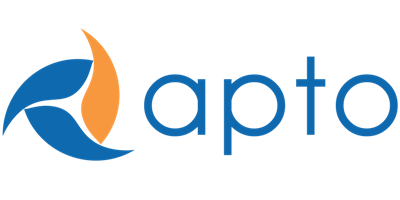 If requirements are met and issue still arises, Apto will need to coordinate ticket with Salesforce and Client. Data Sets - will allow users to define what records are synced based on predetermined filters.